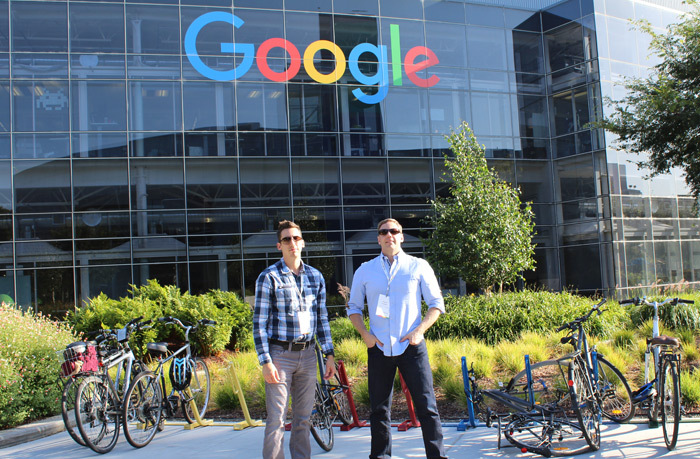 David and I had the honor of representing our digital marketing agency at Google’s Leadership Summit held in Mountain View California in May 2016 and were the only Canadian Google Partners in attendance (hooray!). The event took place at the Googleplex and Tech Corners offices and was hosted by Accelerate Performance as well as Google USA. It was a full day seminar delving into complex topics on quality assurance, mentoring, coaching and solid growth strategies that will continue to help propel Adster and our clients forward. Our agency is only as good as our people and process, and there were some key takeaways that will help assist our team in continuing to offer world class support and results. All in all, our clients can continue to expect stellar customer service, and tangible results as our agency experiences year after year growth. To learn more about our team and our service offerings check out our digital marketing services OR come out to one of our Think With Google Seminars we host quarterly with Google Canada (next event is June 14th / 2016).